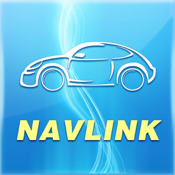 With Navlink’s GPS vehicle tracking your mobile workforce need never be out of sight or mind. Whether you are in the office, on the road or in the field, we provide you with the fleet intelligence you need, 24*7,directly to your iphone or ipad. Thanks to our web-based solutions such as the vehicle trackers and the asset trackers, you can enjoy total visibility of your vehicles. Look forward to reduced travel time, mileage and vehicle running costs. You'll immediately see increased productivity and efficiency in your business.